Friday, Iowa Gov. 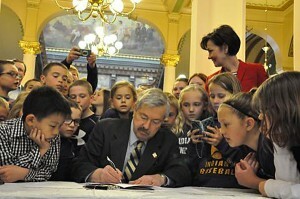 Terry Branstad signed Senate File 227 into law. The bill states, in part, “…the school calendar shall begin no sooner than August 23.” It also imparts financial penalties on districts that start school before that date. The bill passed the Iowa House 71-29 on March 24, 2015. 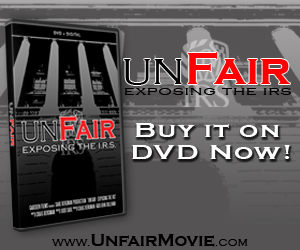 The bill passed the Iowa Senate 28-22 on March 25, 2015. 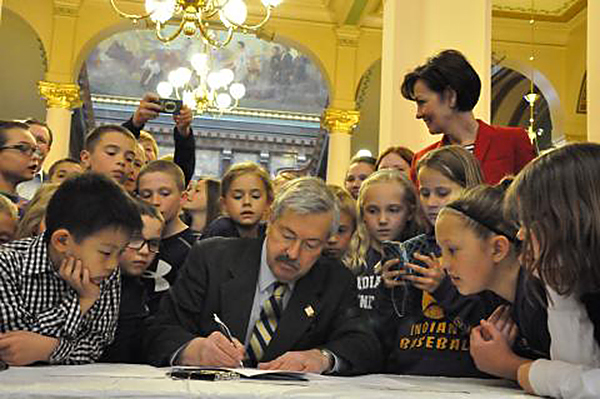 Students from Indianola were on hand to watch the bill signing ceremony.